One man is a thief. Another is a carjacker seeking to diversify. A third cracks heads for the local mob, while the last man is the pack’s appointed leader. And on a coastline of rugged, natural beauty, where the sea rattles rocky shores, these four criminals have targeted perhaps the easiest, low-risk score of their lawless careers. But soon after descending upon the property, the thieves discover the true, sinister purpose behind the remote getaway. The cabin isn’t a treasure trove of riches waiting to be plundered. Nor is it the easy job they assumed it to be. 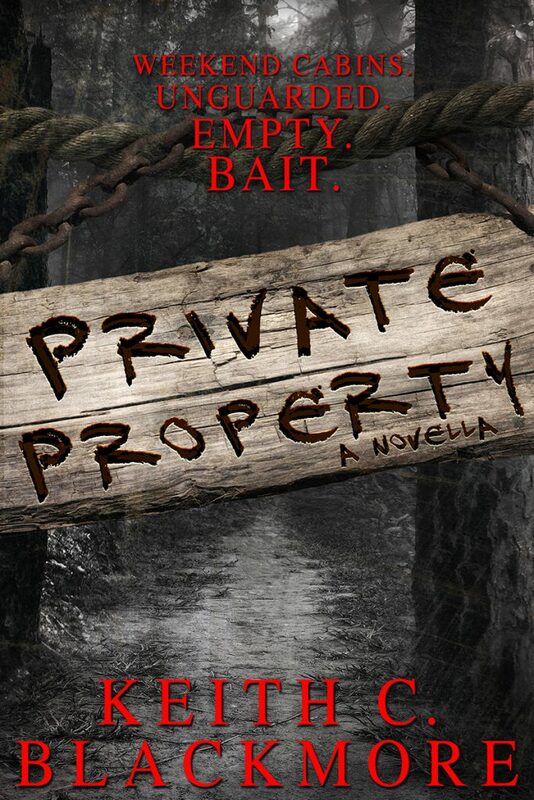 “Private Property” is a horror/crime novella of approx. 30,000 words, or about a hundred pages. Contains violence and coarse language. On sale at AMAZON (click here or cover pic). And on sale at Kobo.